Yoshinobu Tokugawa was the fifteenth shogun of the House of Tokugawa. He reigned as the shogun from January 10th to November 10th, 1867. He was the seventh son of Nariaki Tokugawa, the ninth lord of the Mito clan. When he was nine, he was welcomed into the Head Family (positioned to continue the shogunate) and became a likely candidate to become the shogun. Yoshinobu Tokugawa exhibited unsurpassed political and diplomatic negotiating skills. He pushed strongly for diplomatic, military, governmental and economic reforms in cooperation with France in order to revive a declining shogunate. The activities of Yoshinobu were highly regarded as looking like a return to the first great shogun. He was praised even by those trying to overthrow the shogunate. However, Yoshinobu Tokugawa was not able to swim against the tide of the times. He suggested on November 9th 1867 that the government return to an institution centered on the Emperor. This offer was accepted the following day, signifying the end of the shogunate’s rule over the central government. Afterward, a war erupted against the House of Tokugawa. Yoshinobu was defeated and even sentenced to death at one point, but he was prepared to accept this. Later, he lived quietly for 30 years in Shizuoka. 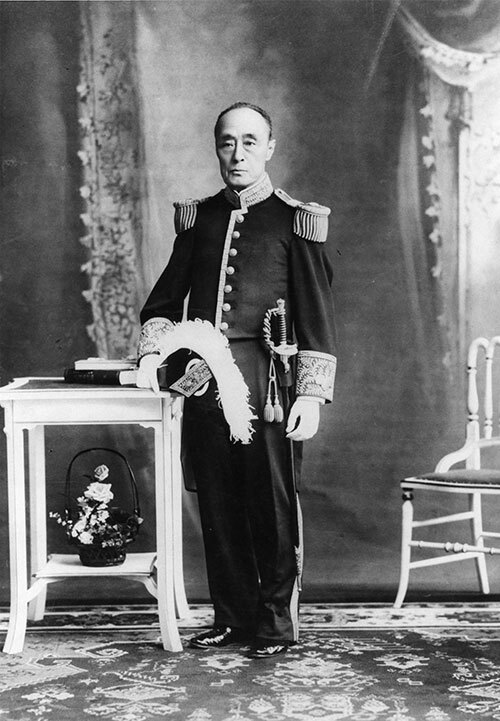 He had an audience with Emperor Meiji in 1898, enabling him to substantially recover his honor. His great achievements for the nation were recognized by the emperor in 1902 and he was bestowed with the title of duke. His life appears to embody the burden that must be accepted by those responsible for reform. His oil paintings, embroidery, photographs and other works he was involved with during his turbulent life have become valuable cultural assets.